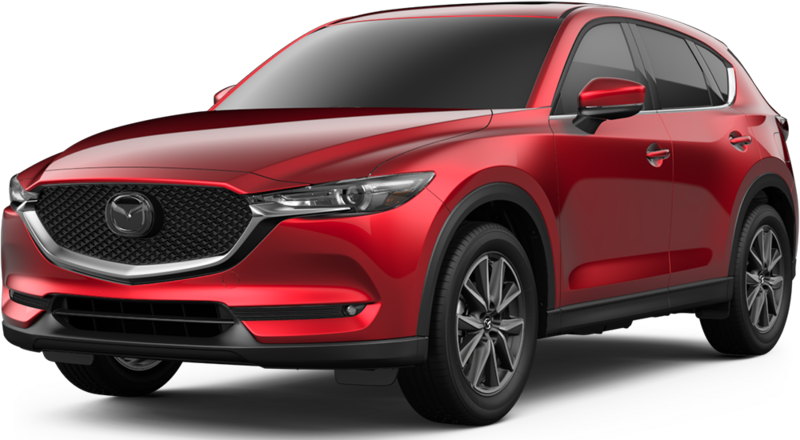 Mazda might be known for their small, sporty cars, but anyone looking for a great crossover SUV ought to be looking at the 2018 Mazda CX-5. Seemingly coming out of left field in terms of design and performance, this vehicle demonstrates that Mazda is capable of offering something with greater fuel efficiency and high performance to individuals needing a larger vehicle with a good amount of maneuverability. After a major redesign in 2017, the 2018 model features a few minor tweaks and changes throughout the interior and exterior of the vehicle. Divided into three primary trims, most of the performance of the SUV is geared towards providing a balance of fuel efficiency and high power and torque. The four-cylinder engine offers 187 horsepower and 186 pound-feet of torque, making it capable to tow around 2,000 pounds without struggling under the wait. Potential customers will appreciate the off-roading capabilities of the higher trims. Even with the four-cylinder-only engine option, the powertrain provides enough juice to get around off road. People wanting a daily commuter will love the plethora of standard features throughout the trim lines that other makes and models reserves as optional purchases. This SUV starts at $24,150 for the base FWD Sport trim. 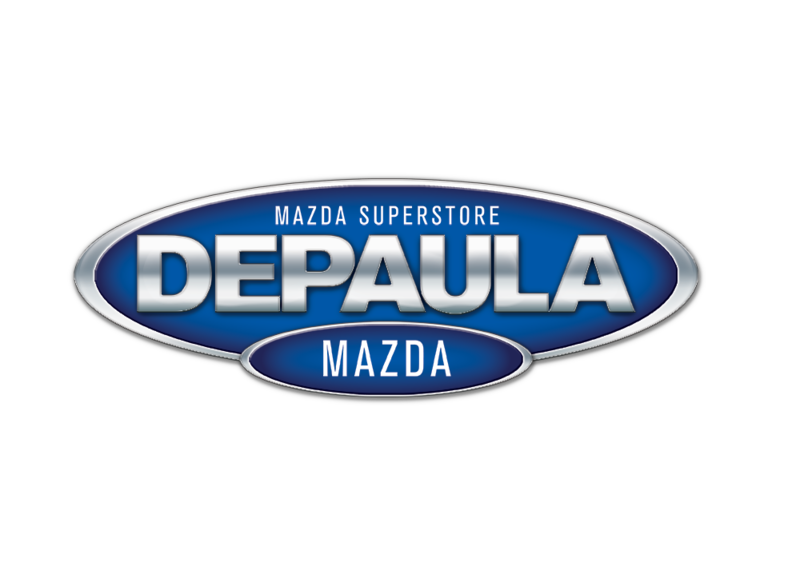 DePaula Mazda is a dealership that knows all about the Mazda lineup. This goes beyond having the details on specifications and performance metrics for each vehicle. 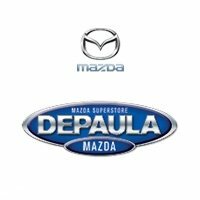 On our lot, we embrace the Mazda promise of great performance and quality customer service. Whether you visit us looking for a new or used vehicle or need some service done, you will see our commitment reflected in everything we do. All of our staff members know how to treat you right. We will give you excellent service, expert knowledge, and a great deal anywhere we can. 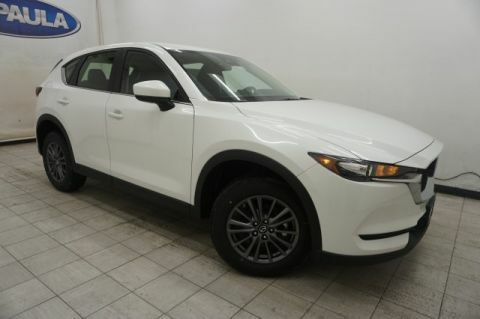 All you have to do is visit today to check out the 2018 Mazda CX-5 in Albany, NY. Mazda has done a good job of maintaining a healthy number of standard options throughout the trim lines, perhaps more so than any other SUV manufacturer. This allows customers to get more for their money. While other brands reserve advanced safety features and convenience options for a higher price tag, you are more likely to find some of these options as standard inclusions depending on the trim line you are considering. The interior space is large enough to seat five individuals in the two front bucket seats and rear split row. The front seats are large enough to provide ample headroom and legroom for average and tall adults alike. The rear row is also comfortable enough for long road trips. Accent touches around the interior include a leather-wrapped steering wheel and surfaces in the front of the vehicle. Safety is one area where you can see the greater presence of standard features usually reserved as optional upgrades. Beyond the typical assortment of front and side airbags, Mazda’s I-ACTIVSENSE safety package comes standard in all three trim levels. This system includes a blind spot sensor system, front collision prevention via automatic detection and braking, and cross-traffic monitoring to increase driver awareness while backing up the vehicle. Other enhanced safety features will include an adaptive cruise control and lane assist system, both of which will actively keep the vehicle inside a lane at the appropriate distance away from other vehicles. In addition to safety, the 2018 CX-5 comes with several convenience features like power adjustable mirrors/seats and windows. The upper trims offer more standard features such as customizable seat position settings and an upgraded infotainment system. Using a 7-inch screen located on the front dashboard, the infotainment system offers optional navigation with real-time updates, voice activation, and smart device compatibility via Bluetooth. For the last few years, Mazda has used something called the KODO design language to influence the overall design and look of their vehicles. This has led to a unique look that separates a Mazda’s exterior from the competition. The 2018 CX-5 follows this same “language” to create a sleek design that cuts through the air to improve the aerodynamic performance of the vehicle while in motion. Overall, the main appearance of the CX-5 maintains a sleek look that rivals the traditional appearance of midsize SUVs and minivans. The curvy nature of the CX-5 improves fuel efficiency by minimizing as much drag as possible. The exterior includes a large front end with a narrow profile. The combination headlight and turn signal setup blends seamlessly with the front grille and hood so air doesn’t get trapped in any unnecessary spaces. The front windshield is also swept back so air simply rushes over the roof while traveling at highway or interstate speeds. Behind the front, the profile of the exterior design maintains enough headroom over the rear passenger and cargo areas. This profile results in a spacious interior throughout the entire vehicle from front to rear. Ground clearance is maintained with 19-inch wheels so the vehicle can go off-road if necessary without worry of damaging the undercarriage. Crossover SUVs have the challenge of balancing fuel efficiency with increased performance over traditional sedans or station wagons. It can be difficult to find the right mix of these properties, but Mazda found the secret formula with the CX-5’s overall specs and performance capabilities. A combination of an efficient engine and drivetrain keeps the fuel efficiency in the 20-30 MPG range which will cut down on trips to the gas station and impact on the wallet all at once. The CX-5 comes with the same 2.5L V4 engine regardless of the trim level. This engine has around 187 horsepower and 186 pound-feet of torque, putting it on the lower end of performance for a crossover SUV. Despite this, the SUV still manages to maintain a 2,000 pound towing capacity for hauling heavy cargo or trailering over long distances. With a fuel economy of 25/31 city/highway, this engine will deliver on efficiency for people more used to the fuel performance of smaller vehicles. Fuel efficiency and overall performance will also be influenced by the choice of a forward wheel or all-wheel drivetrain. Forward wheel drive tends to be better for fuel efficiency since the engine only has to drive one set of wheels. This, however, comes with the loss of extra traction in challenging driving conditions. The all-wheel drivetrain averages around 24/30 MPG and comes with Mazda’s intelligent traction control so the car will continually adjust torque and power between the wheels to maintain control. For people needing the ultimate fuel efficiency, the CX-5 offers one feature that fine-tunes the engine’s performance during highway cruising. Typical engines waste a lot of gas at highway cruising speeds. While more fuel is needed during acceleration, keeping a car at a consistent speed is less taxing on the vehicle. Realizing this, Mazda has designed this engine to reduce its performance when it is not needed. The Cylinder Deactivation technology will deactivate the outer two cylinders in the engine while at cruising speed. This will keep the engine from over performing when only a certain amount of power is needed to maintain the vehicle’s speed.